David Diston’s rapidly developing artistry is quickly gaining him recognition as a ‘sonorous baritone’ (Huffpost Alberta) with ‘full-throated and characterful singing’ (Calgary Herald). 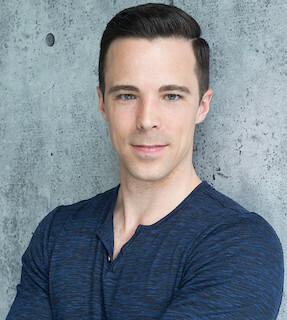 A 2016 graduate of the Calgary Opera Emerging Artist program, Mr. Diston’s professional credits include Frederic (Lakmé), Pish-Tush (The Mikado), Moralès (Carmen), des Grieux (Le portrait de Manon), L’horloge and Le chat (L’Enfant et les sortilèges), Dr. Mann in the World Premier of Vehar’s SHOT, and William Dale in the Canadian Premiere of Putt’s Silent Night. With Calgary Opera in Schools David has performed King Osiris in Isis and the Seven Scorpions, and Papageno in Die Zauberflöte. He was most recently invited home to Calgary Opera as Ping in their acclaimed Spring 2017 production of Puccini’s Turandot. While pursuing operatic studies at Western University and a Masters in Opera Performance from the University of Toronto, David’s educational performance credits include Mr. Gedge (Albert Herring), Dr. Dulcamara (L’Elisir d’amore), Dr. Malatesta (Don Pasquale), Don Giovanni (Don Giovanni), Falke (Die Fledermaus), and Count Almaviva (Le Nozze di Figaro). International credits include Don Alfonso (Così fan tutte), and Leporello (Don Giovanni) with the Accademia Europea Dell’Opera in Milan, Italy. On the concert stage, Mr. Diston recently made his Toronto Symphony Orchestra debut as the baritone soloist in C. Nielsen’s Symphony No. 3, and his debut with the Calgary Philharmonic Orchestra as part of their Orchestra Moves concert series. Further concert credits include The Messiah (Handel), Liebeslieder & Neue Liebeslieder Waltzes (Brahms), The Armed Man: A Mass for Peace (Jenkins), Fantasia on Christmas Carols (Vaughan Williams), Seven Last Words of Christ (Dubois), Requiem (Fauré), Lord Nelson Mass (Haydn), and Requiem (Mozart). Mr. Diston is a 2017 finalist in the IRCPA Singing Stars: Next Generation competition, and was selected as a soloist in the 2017 Toronto Mozart Master Class Series. ​David Diston is a proud and appreciative recipient of a 2017-2018 Canada Council for the Arts Professional Development Grant.